Langres is a beautiful washed-rind cheese from the plateau of Langres in the Champagne-Ardenne region of France. It's distinctive orange, wrinkly rind comes firstly from the culture geotrichum candidum, which is added during the cheese making process and then regular washing in annatto, and then further washing in Marc de Bourgogne. With its soft, fudgy texture and slightly piquant flavour, this is one of our favourite cheeses. Perfect on a cheeseboard and for something a little different, let yourself be tempted to pour a little Champagne into the dent in the top and let it seep into the cheese. We prefer to eat Langres with crackers or as part of a cheeseboard, but we've also seen it as an ingredient in baked eggs, in tartiflette, baked like a Camembert and even as a topping on pizza! 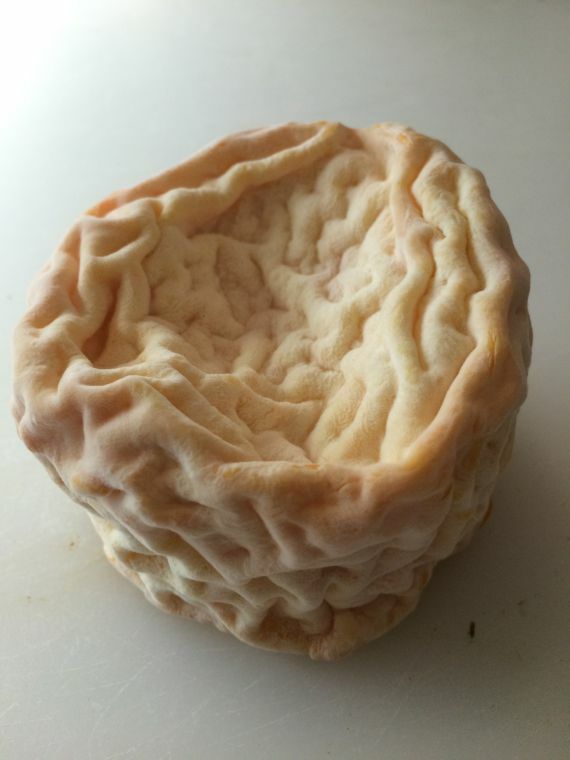 Another great thing about Langres is that it's also fantastic eaten young when the flavours are lighter and the texture sits between chalky and fudgy. 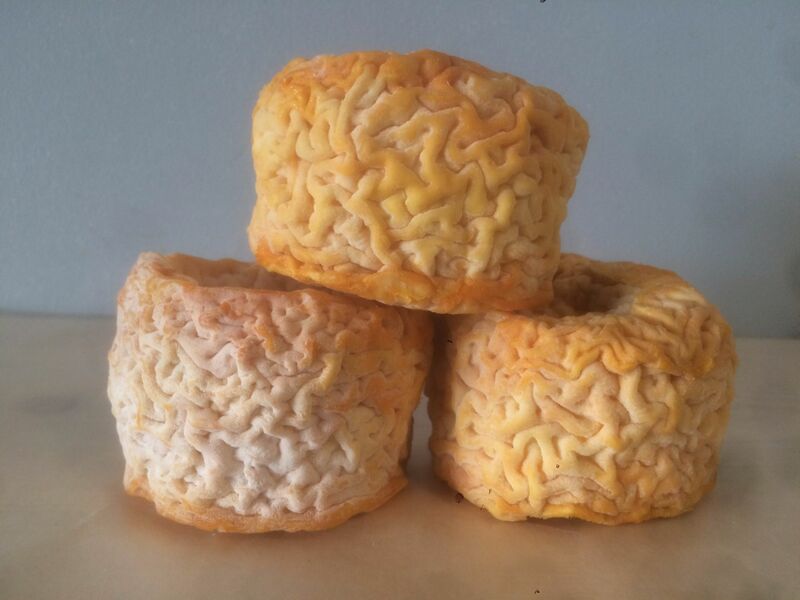 We’ve heard people (especially children) refer to Langres as ‘brain cheese’ because of its distinct wrinkly rind. 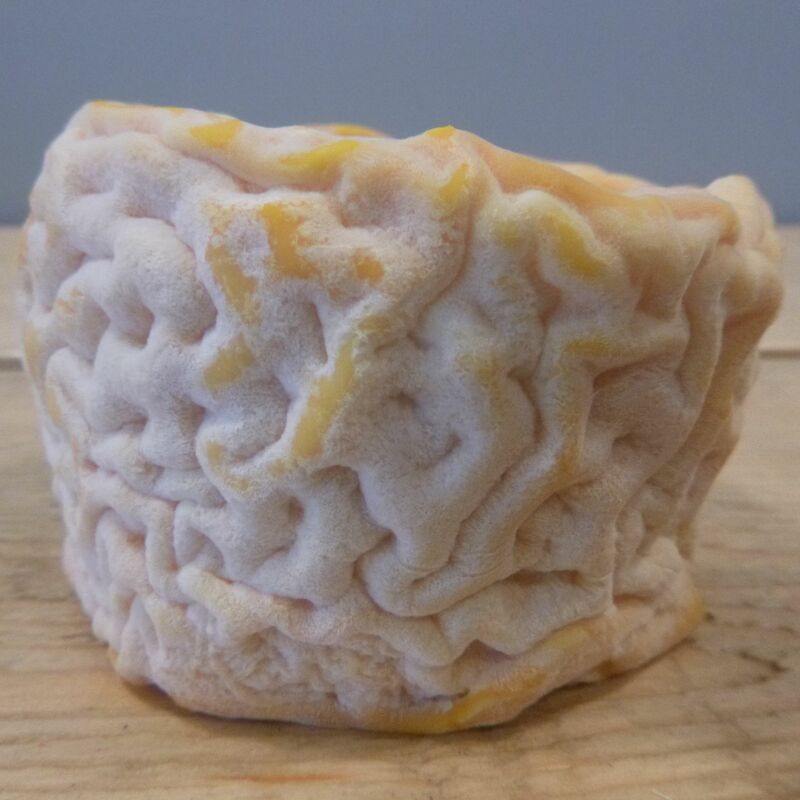 Langres is one of our favourite cheeses, so we're fussy about where we get it from and only stock what we believe to be the finest hand made Langres there is. Find out why we love Langres so much. We've put together a delicious French cheese selection with some of our favourite French cheeses.